With thoughtful design, beautiful custom finishes, & stunning panoramic lake views, this home masterfully blends elements for entertaining along w/comfortable everyday living. Featuring almost 10,000 square feet including a master suite on the main level, spacious bedrooms on the upper level, & full basement w/second living quarters, this home has a place for everyone & every activity. The centrally located kitchen is perfect for the home chef or hosting large, catered parties. The first-floor master suite is well-appointed with a spa-like bath & stunning views of the lake. The backyard is an oasis featuring spectacular waterfront views of the lake, a handsome outdoor fireplace, full-service kitchen & bar, and covered & open-air patios. Located across from the Daniel Stowe Botanical Garden, the serene views and privacy are protected from development. Enjoy pulling your boat or jet ski right up to your backyard with the private boat dock complete w/two boat lifts & covered porch. Please, send me more information on this property: MLS# 3489897 – $2,699,000 – 111 Catawba Cove Lane, Belmont, NC 28012. 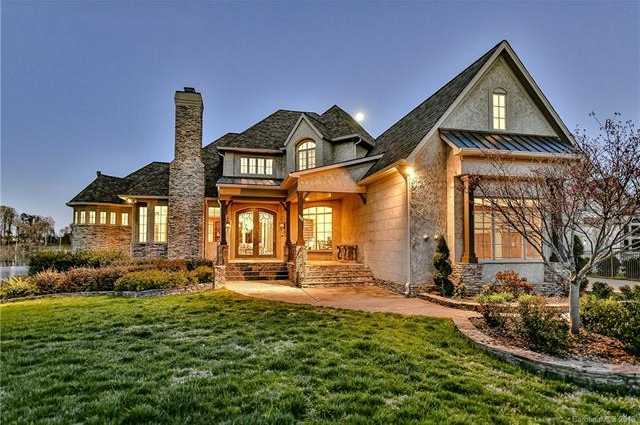 I would like to schedule a showing appointment for this property: MLS# 3489897 – $2,699,000 – 111 Catawba Cove Lane, Belmont, NC 28012.